Cherry Blossom Hijabs is a website based in the UK, selling affordable scarves, pins and other accessories. I was sent a few products including the Paradise Blue Ombre, Black Lace Ombre, Cream Fleur Pin Storage and some rose hijab pins to review. 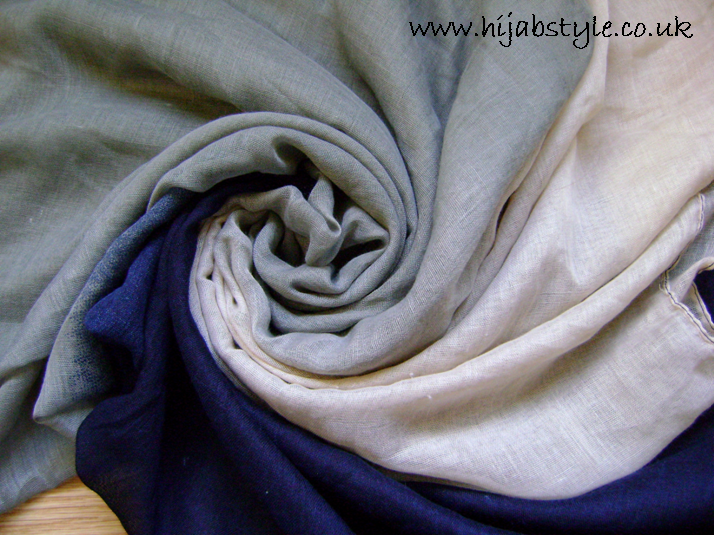 The Paradise Blue Ombre scarf has three sections of navy, grey and cream which merge together. It measures about 110 x 180cm and is made of a lightweight viscose fabric. I like the ombre effect as the scarf will look slightly different depending on how you style it. It's a great colour combination for winter. The black lace ombre scarf measures 90cm x 180cm and is made of a viscose/cotton mix. It also has a slight ombe effect with black, lace, cream then grey sections lengthwise. 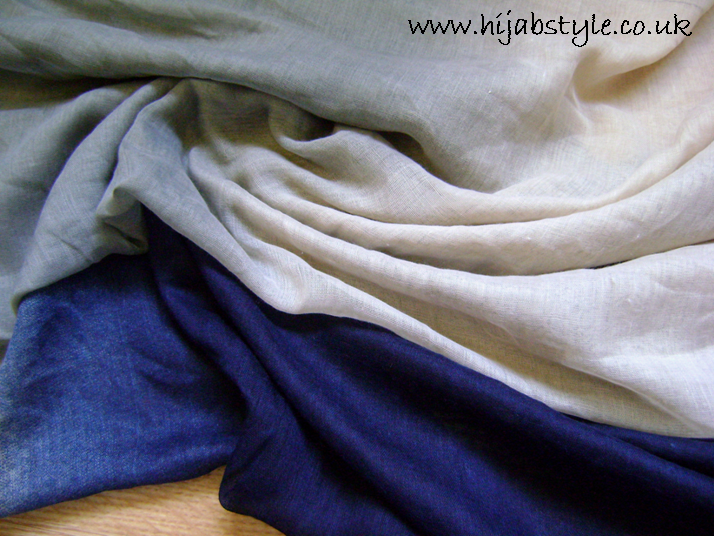 The fabric is soft and lightweight and is great for creating folds and volume. 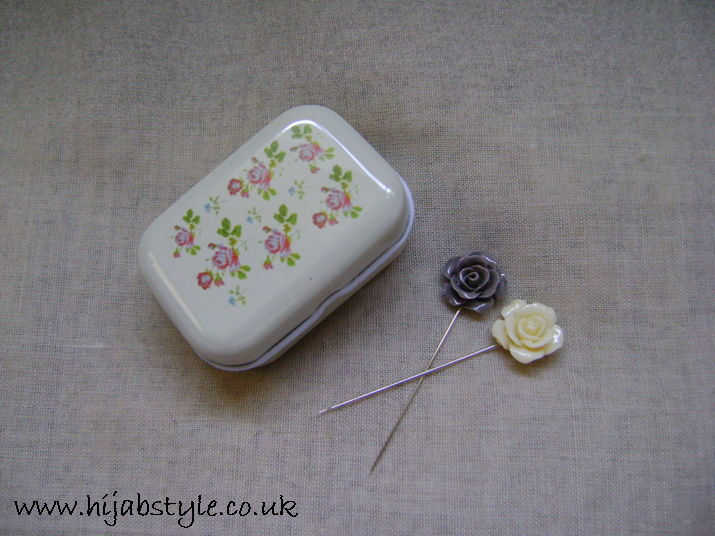 Finally the cream fleur pin storage and the other tins on the website are perfect for travelling and storing your hijab pins safely, as the lid is quite secure. 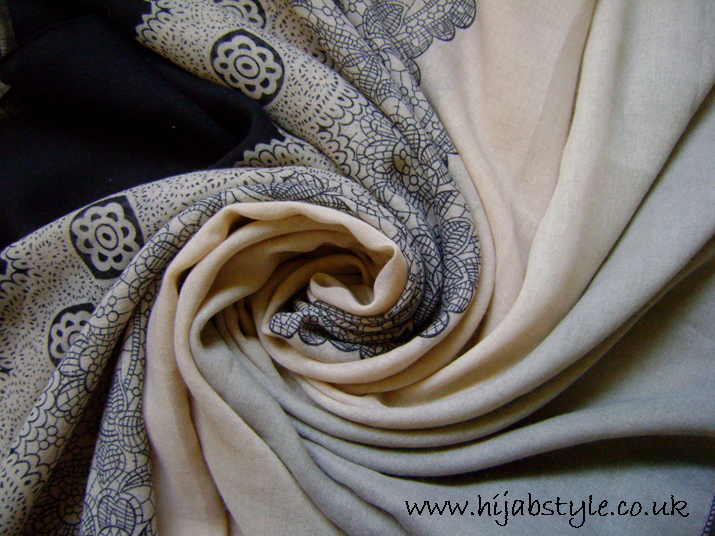 The grey and cream rose hijab pins are simple and great for everyday use, particularly with these 2 scarves. Overall the Cherry Blossom Hijabs website is a good place to check out if you're looking for simple, inexpensive plain or patterned scarves. Love the lace ombre scarves. Beautiful hijabs.. Love all these. Those are great inspration really. Why the website isn't updated recently? Nice and pastel colors, the material seems to be soft, will buy one for myself soon.